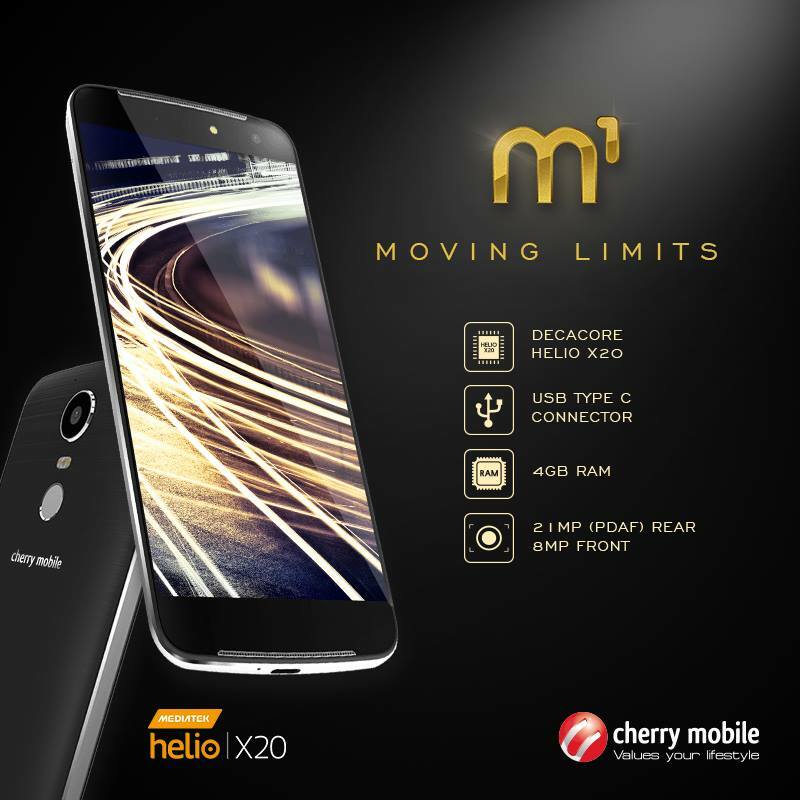 Cherry Mobile announced their latest flagship smartphone to take the Philippine this month. The Cherry Mobile M1 is the first Helio X20 deca-core powered smartphone in the country today. The Cherry Mobile M1 it is also features a 5.5" FHD screen, 4 GB RAM, 32 GB ROM (non-expandable) and 3,600 mAh of non-removable battery. What's interesting about the M1 is the quick charging support as well using the new USB Type C connector. This is also the 1st Cherry Mobile to boast a 21 MP camera w/ Sony IMX230 Sensor plus an 8 MP selfie camera w/ flash for your selfies even in the dark. It's also have fingerprint scanner at the back, dual nano SIM card slots and running on the Android 6.0 Marshmallow OS out of the box. Given those specs's there's no question that this is the most powerful local phone yet. The Cherry Mobile M1 will be available this June with an SRP of 11,990 Pesos only.